Purple Afghan Kush Feminised Cannabis Seeds by Dinafem produce an Indica dominant strain created by crossing Purple Kush and Pre’98 Bubba Kush. Dinafem’s Purple Afghan Kush is a high quality, delicious and fruity strain that offers a typical Indica, pleasant and relaxing, long lasting state. 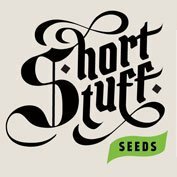 These feminised cannabis seeds produce easy to grow, small marijuana plants that yield fruity scented dense buds, in a short flowering period. This variety has an intense flavour and aroma with tones of fresh pineapple. Ideal for relaxing the body and mind and to help ease muscular pain. 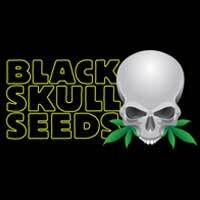 Purple Afghan Kush cannabis seeds by Dinafem Seeds belong to an Indica-dominant, feminized cannabis strain that originates from the cross between Purple Kush and Pre’98 Bubba Kush. Purple Afghan Kush rewards us with a deliciously fruity and high-quality strain, featuring calming properties, which guarantees the satisfaction of all collectors. 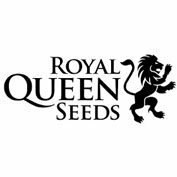 Dinafem are really proud to include this excellent Indica seed in their catalogue since it has allowed them to go a step forward regarding the already special fruity taste and flavour, which, accompanied by a physically and mentally relaxing effect, make it an incredibly appetizing strain. 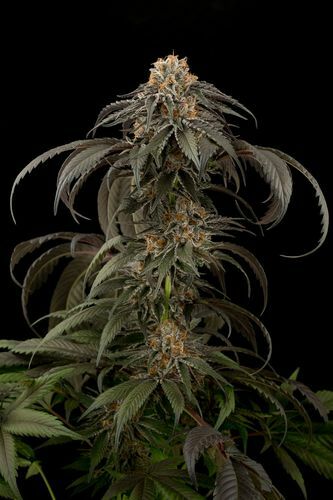 Purple Afghan Kush seeds grow in a small, resistant and easy-to-grow marijuana plant which flowers fast and produces dense compact as well as fruit-scented buds. This bush-shaped plant comprises very promising organoleptic characteristics and, when it comes to the aesthetic aspect, it acquires really beautiful purple/lavender hues all along the flowering period. Purple Afghan Kush performs well when grown indoors as it easily adapts to reduced spaces, but cultivating outdoors is still a great option in dry/sunny/temperate/Mediterranean climates as well as in a greenhouse, because its fast flowering properties make it less likely to suffer from moisture problems. The flavour and aroma of Purple Afghan Kush are intense, with notes of freshly-cut pineapple. The effect is totally Indica, providing a pleasant feeling that leads you towards a relaxing and long-lasting state. It is the perfect choice for collectors in search of a cannabis strain that invites them to relax the body as well as the mind, and that helps them ease muscle tension therapeutically.